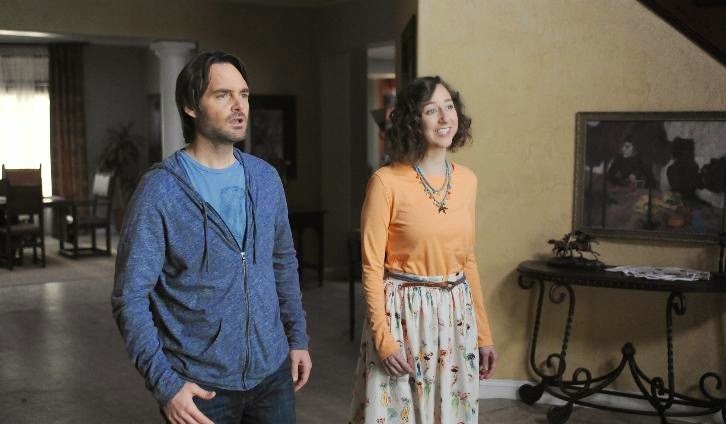 Previously on The Last Man on Earth: After numerous attempts to sleep with Melissa, Phil would seem to be adjusting to married life with Carol, while Todd is settling in with Melissa. This set of episodes of Last Man on Earth starts with Phil and Carol (and Carol's sleep apnea machine) in bed. Adjusting to married life has been particularly difficult for Phil following the apocalypse. A big part of the pilot episode was about Phil just letting loose and doing whatever he wanted. Now that a small society has developed in his neighborhood, Phil is forced to adhere to the standard laws of cleanliness, manners, and other social necessities. One of these social necessities that Phil has to deal with in this episode is change. One morning, Phil notices that Carol has decided to make a number of alterations to his living arrangement (including the relocation of some of his favorite magazines). Instead of responding like a normal person, Phil goes a little crazy. In the midst of Phil's crazy attitude, he comes across our next group of survivors (special guest stars Mary Steenburgen and Cleopatra Coleman). This is the most enjoyable part of the episode because Phil is able to do exactly what he is best at: lie. Will Forte is absolutely fantastic in Phil's typical over the top pathological lying and this episode is no exception. As usual, Phil's lying gets him into some pretty massive trouble (even Todd isn't fooled by Phil's antics) and this leads to an entertaining second episode for the night. I don't want to give away much about the second episode though because it could really easily spoil the hilarious ending to the first. With that in mind, I'll just leave you with a tease: Phil is given a choice that could forever change his life in the new world. Tune in to The Last Man on Earth on Sundays @ 9/8c on Fox. Be sure to come back here to SpoilerTV to let everyone else know what you thought of the episode. Brandon is a Computer Science major at Fresno State University and has been a SpoilerTV writer since his sophomore year in high school. He enjoys watching an extreme amount of television and movies and is currently reviewing The Americans, Falling Skies, and True Detective. Brandon also managed the "In the Hot Seat" competition here on SpoilerTV in 2012 and is planning on doing it again in early 2015. Feel free to use the Facebook, Twitter, or G+ links below to contact him.